Barcelona defender, Jordi Alba is happy to admit that Lionel Messi is the GOAT rather than question it. His name is Lionel Messi and he is the greatest footballer of all time. You can disagree if a Cristiano Ronaldo fan is close by. 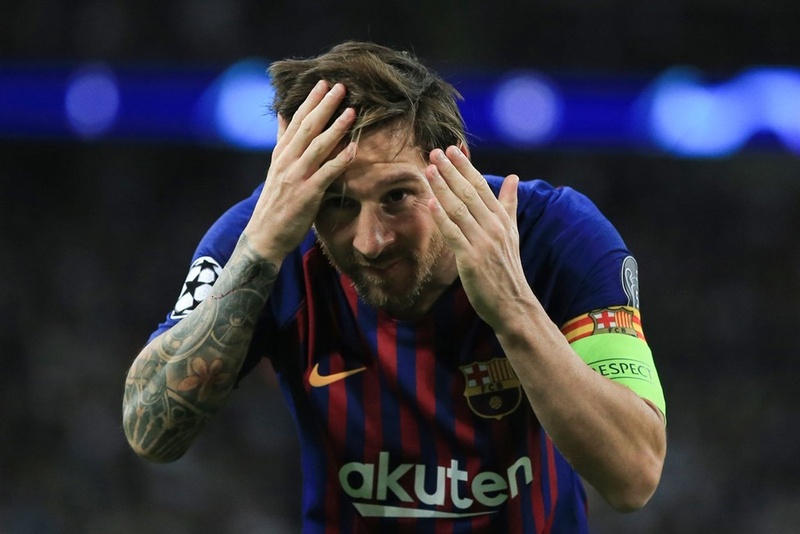 Watching his mesmeric display in Barcelona’s 4-2 Champions League win over Tottenham Hotspur on Wednesday, you would agree that he is a class above the world’s other top players. Messi ran amok at Wembley Stadium, slicing Spurs apart with incisive passes from deep, such as the one that allowed Philippe Coutinho to open the scoring. He was as dangerous as ever in front of goal, firing in the Catalan side’s final two goals to end their winless run of three games. His Barcelona team mate, Jordi Alba is happy to admit Messi is the GOAT rather than question it. “Messi eats at his own table, he plays on another level to the rest. “When Leo goes on a run, all the rest of us can do is grit our teeth. He is the best in the world and he makes all of us a little bit better,” Barca defender Alba told reporters. “For me `The Best’ is a lie,” said Alba as Rakitic, the scorer of Barca’s second goal, also said Messi was one of a kind.